While many neoclassical sculptors looked to literature and the historical past for subject matter, some ventured into less predictable territory with the invention of “conceits.” These whimsical figures might have their roots in the forest sprites of Shakespeare and the fairytale figures of the brothers Grimm. But they are at times as much the product of the artist’s imagination as anything else. 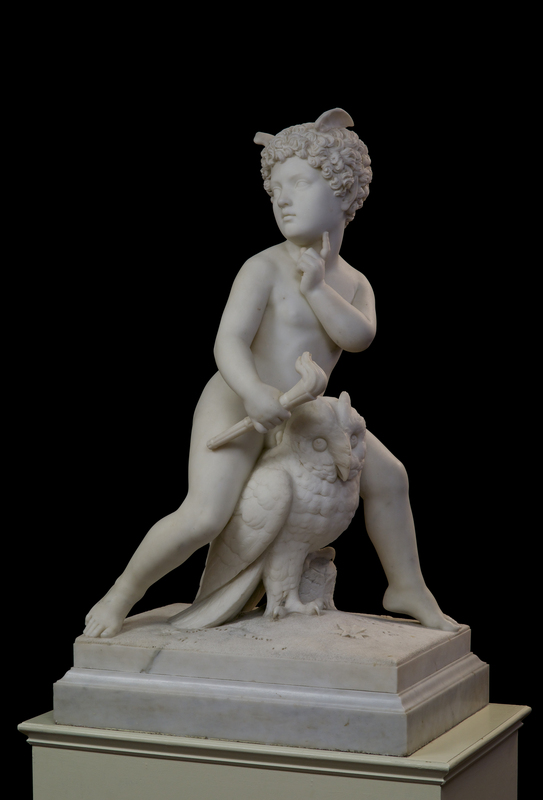 That seems to be the case with this figure by the American sculptor and Massachusetts native Harriet Hosmer. Hosmer was one of the most successful women artists of the nineteenth century and, as an expatriated American resident in Rome, enjoyed the patronage of wealthy American tourists and British royalty alike. Indeed, one of her clients was the young Prince of Wales, who kept a version of one of Hosmer’s whimsical creations, her famous Puck, in his rooms at Oxford.